I am thrilled to be partnering with Cabot Creamery! How would you like to win a 1-year subscription to ChopChop Magazine AND a $25 Cabot Cheese gift box (or box of the snacking minis…your choice!)? Just tell me which you would like to win in the comments section below! 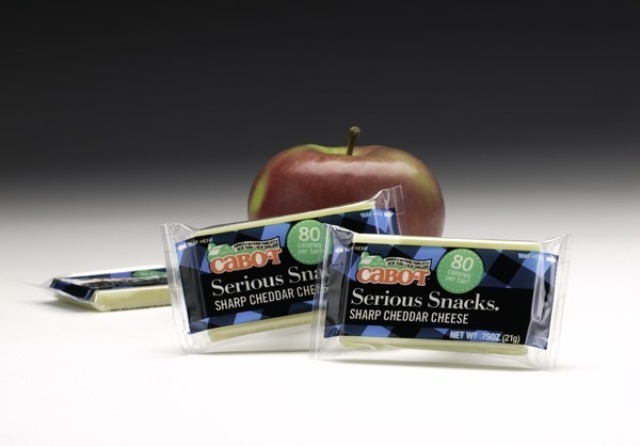 $25 Cabot Cheese gift box Box of the snacking Cabot Cheddar minis. ChopChopKids is an innovative non-profit organization whose mission is to inspire and teach kids to cook real food with their families. They believe that cooking and eating together as a family is a vital step in resolving the obesity and hunger epidemics. ChopChop is a quarterly magazine published in both Spanish and English. 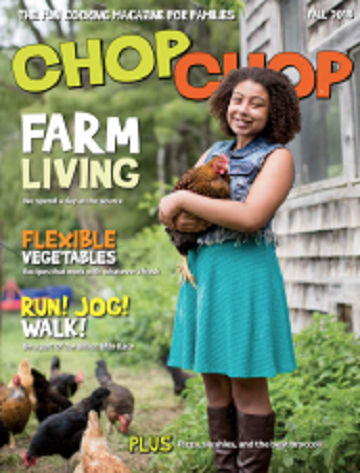 Winner of the prestigious 2013 James Beard Foundation Award for Publication of the Year, ChopChop is filled with nutritious, great-tasting, ethnically diverse, and inexpensive recipes. It also has fun food facts, games and puzzles, and interviews with healthy heroes ranging from kid chefs to professional athletes to the White House Chefs. Fifty percent of all U.S. practicing pediatricians request ChopChop and “prescribe” it during well-child visits. ChopChop is distributed through children’s hospitals, health centers, public schools, afterschool programs, Indian reservations, and community organizations. ChopChop is also available by subscription or bulk order. One winner will be chosen by pick Giveaway Winner. Winners must be from the continental US only. Filed Under: Cabot Creamery, Give Away!, GIVEAWAY Tagged With: Appetizer, Cabot Cheese, Cabot Cheese Giveaway!, Cheese, Chopchop Magazine Giveaway!, Giveaway!! I would love the box of the large blocks of wonderfully delicious cheese. I would love either one of them. They’re cheese is sooooo good! The blocks of cheese sound wonderful. I can not keep enough cheese in the house with all the people that love it. I add it to our dinners and then others will cut some with crackers and or apple slices. The 25 box would be a delight. Hi Nettie! I love the farm life and I love, love, love cheese! I could see some seriously good mac-n-cheese from that box! Awesome contest! It is very exciting that Cabot cheese has partnered with you Nettie! Just think of all those recipes you post that I could try those different cheeses with! I’m excited just thinking about winning and making some cheesy soups, football game appetizers and adding them to various dishes! Hope I win!! I would love the box of Cabot cheeses. They are some of the best cheeses especially the White Cheddar. I love cheese. The block cheese we eat a lot of cheese in our house, from plain to using it in recipes. OMG!!!! Are you kidding? 😀 The CHEESE!!!!!! 😀 (A small slice has been my “supper”- and only thing I can eat – every other night for weeks and many months to come due to “medical stuff”. Can’t afford any more, though. This would be a BLESSING). The cheese box sounds awesome! Cabot is my favorite brand too! I would really like to win the box of cheese blocks! This is awesome. 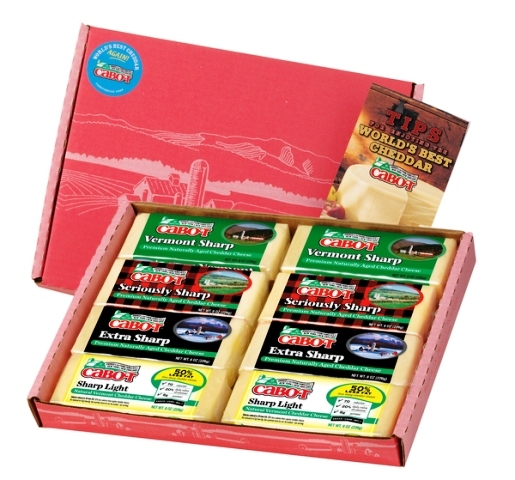 I would absolutely love the Cabot Cheese gift box… I am a HUGE cheese lover and this would be ideal for a gal like me. Cabot Cheese has always had great quality cheeses and flavors. I would prefer the $25 gift box. We eat a lot of pasta and other home cooked meals, and cheese is usually a primary ingredient in most of them. Since cheeze is my ultimate FAVORITE food..I’d be BLESSED to win the sampler!!! Yum! I Would love the box of.block cheese. I have always wanted to try their cheese after seeing it on Instagram. I would love the mini’s. Cabot is one of my favorite cheese companies! I would love a big box of cheese! Cabot cheddar is the best! Wow, great prizes! I’d love that cheese. I would love to try the snacking minis box!! Looks soo good! Cabot Cheese is so delicious – I’d love to win some yummy blocks of cheese! I’d like either one, but the snacking minis sound especially good! I’d love the box of snacking minis. I would love the cheese blocks! I love love love Cabot Creamery! Yum! I love any kind of Cabot cheese but I am very fond of sharp cheddar. The cheese would be lovely, but I am also intrigued by the magazine! We always give our daughter a magazine subscription as one of her Christmas presents, and this sounds right up her alley. I like the blocks of cheese. We love cheese in this household! I would love the cheese blocks.. yummy!! I would love the box of the snacking minis. I just bought 4 different kinds of their cheese its our favorite What great giveaway! I would love the $25 box of cheese-look delicious! I’d prefer the gift box.